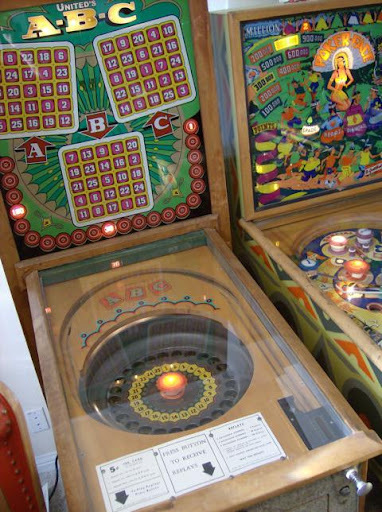 This song is about a mostly-forgotten type of pinball machine known as a Bingo. Bingo Pinballs don’t have any flippers and were manufactured in the US from around the 1950s – 1970s (oddly enough, they are still made in China for Latin American markets). 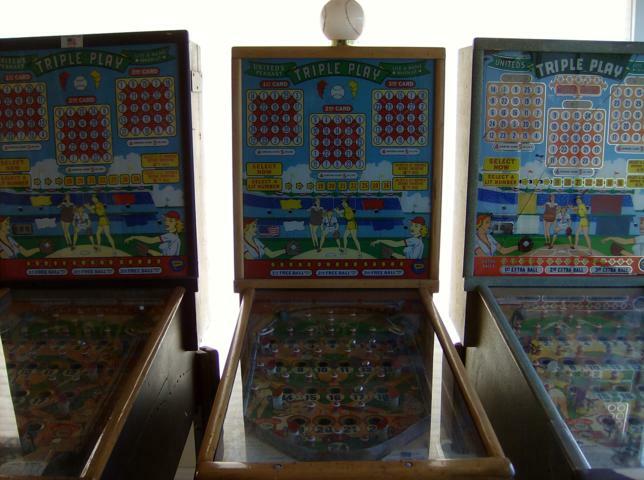 Bingos were designed more or less exclusively for gambling and that’s why pinball continued to be illegal in most major cities for a long time even after flippers were invented in 1947. They were basically slot machines with a plunger. In many cases the lawyers didn’t differentiate between flipper and flipper-less games, they just banned them all. Also, like all things gambling, the mob got in on the action, and the goal of making pinball illegal was often to take a swing at local organized crime syndicates. Bingos tried to exist in sort of a grey area. Everyone knew they were for gambling but they couldn’t be too obvious about it, so most weren’t built with a payout mechanism. Instead, players earned free credits – A LOT of free credits (I’ve earned over 120 on the Bingo machine at the Pacific Pinball Museum but I’ve read of some that can go over a thousand). You redeem the free credits with the bartender for cash or drinks. The bartender would power cycle the machine or hit a knock-off switch to wipe the credits for the next player. In Oakland, there are still anti-Bingo ordinances in the muni code. Here’s an actual response to an Appeal from a Bingo operator in San Francisco in the 1950s. Of course, the Operator denied the Bingos might have been used for gambling. It says right on the machine: “For Amusement Only”! Thanks to Jem for the song link. ← Thanks to Jeremy Williams!